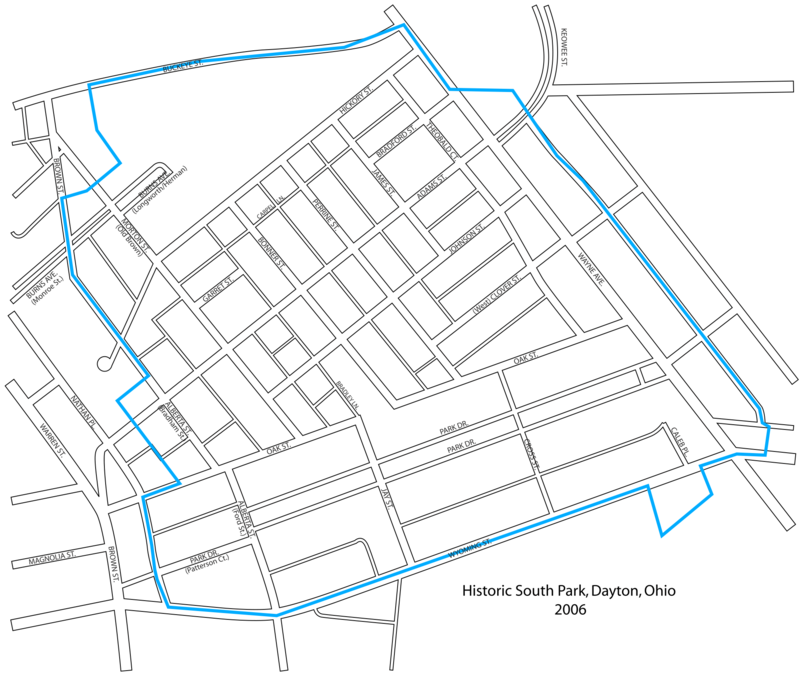 Historic South Park is a 24-block area of more than 700 structures primarily dating from the 1880s to the early twentieth century. It is located south of downtown Dayton, Ohio. The main thoroughfares near its boundaries include Wayne Avenue, 35W, Brown/Warren Streets and Wyoming Avenue.